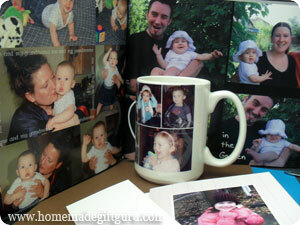 Stop leaving your precious photos in digital form and start making your own PRICELESS personalized gifts online. Printing out your digital photos, whether we're talking frames on the wall, scrapbooks or actual photo gifts... brings your memories back to life. It's not enough to just have them published on Facebook and Instagram. Digital photos will never bring our memories back to life the way real life photos, scrapbooks and photo gifts can. Your kids deserve to see their photos on the wall. Grandparents deserve to have photos of their Grandchildren brightening up their everyday life. Your spouse deserves to have family photos creatively positioned at work, in the car and at home. As a long time lover of photographs... like, I remember dark rooms and all that good stuff... It makes me sad knowing how many people are leaving their photos to be only in digital form and never binging them to life. So, I'm just saying... Bring your photos to life! Every penny you spend, bringing your photos to life, will be well spent. Photo gifts are priceless... get a couple made and then see what I mean. Creating personalized gifts online is fun and super easy. You can also print photos and make photo gifts yourself (I do!). Either way, photo gifts bring smiles, laughs and sometimes even happy tears. Below I'll share a tip for keeping your best photos handy. Photo Time Saving Tip... Life is busy! And it's hard to find the time to look back over a year (or more) of photos to find your favorite ones. Here's what I recommend... Create a special digital folder, right on your desktop, for your favorite photos. Name it something like "Pics to Share." You may also want to create a subfolder for each year. Every time you share a photo on facebook or by email, and every time you notice a photo that would look great on your wall or printed out for an album, copy it into your sharing folder. Leave that folder on your computer when you back up your other photos. Then, when you want special photos, you'll have easy access to the best ones! Note... Notice I copy them, I don't just move them. That way, the photos are still with all the originals but I have a second copy on my desktop, available for fast projects anytime. 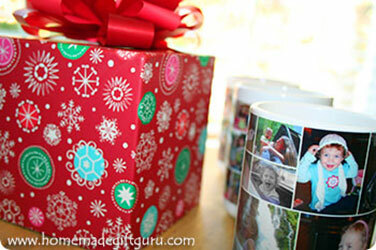 Photo gifts make great homemade Christmas gift ideas... read more here. 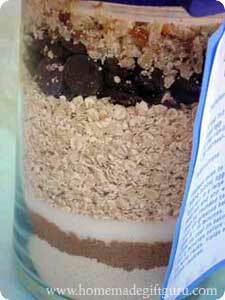 Homemade Gifts in a Jar are Fun and Tasty!